Sinks are the focus and the busiest element in your kitchen and baths. Every day starts and ends at the sink and that is why it is vital to select your sink carefully. Our sinks are durable, practical and elegant. There are many distinctions between custom bathroom vanity sinks and kitchen sinks. These vary widely because of purpose. Seven types of materials generally make up your choices for bathroom sinks. The standard for years has been porcelain. 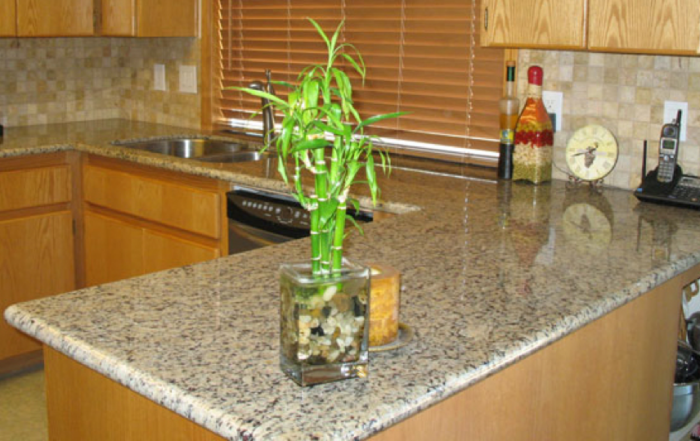 In recent years, much more decorative sinks have become widely available such as colored glass and bamboo. These are an economical choice for a rental home or a kids’ bathroom where functionality and ability to stand up to tough users is paramount. From black to white and a bisque color, porcelain sinks have been the standard of simplicity and reliability for decades. These are affordable and accessible to most budgets. 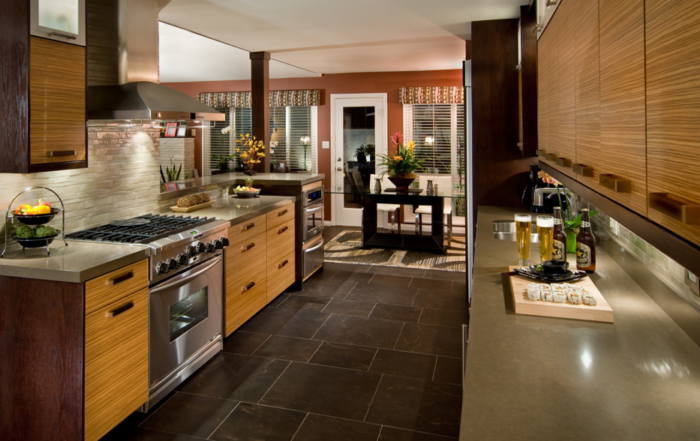 There are many different colors to choose from, which makes them easy to match to most countertops. From granite to sandstone, stone sinks can tie a countertop in to create one symbiotic look. A huge range of colors and interesting shapes also make stone a great choice for your sink. Copper offers a distinct look that can create a modern or vintage feel in your bathroom. The patina that develops over time on copper make each and every copper sink uniquely charming. Eco-friendly and made of rapidly growing bamboo, these sinks look great with both lightly and darkly colored bathrooms. A bamboo sink will really make your vanity stand out and get noticed. From golden colored bronzed to darkened bronze we have stunning designs to suit any taste and need. These intentionally aged solid casts of bronze are functional works of art for that will enhance your bathroom. Traditionally stainless steel was used primarily in kitchen sinks for its ability to stand up to scuffs from ceramics, dishes and metal pots and pans. We carry two ovals, under-mount sinks for bathroom use. These are very low maintenance and require very little more than the occasional spray of a bleach based home cleaner to sanitize and get rid of toothpaste and soap scum. For a modern bathroom where stainless steel is a feature throughout, these are a great option. Three types of sinks exist primarily within kitchen sinks. Each of these has its merit and value. These kitchen sinks have existed for centuries. They were once large enough to bathe a child or to do laundry in. These are often one large area, but can sometimes be divided into two compartments. The value in these for many people is that they are installed out from the cabinets to prevent water that overflows from ruining the wood below. They are under-mounted so the countertop can be wiped directly into the sink. This leaves no lip on the counter for food to be trapped in. Sinks that are top-mount are dropped in from above and secured with a band of silicone caulk. They are more affordable than apron sinks generally and have been a common installation among mid and low range priced homes for the ease of install. Installation of a sink from below is more expensive for a few reasons. The first being that the sink can’t be dropped in and held primarily by gravity. These sinks should be secured from below using pins and metal components drilled into the stone or other countertop material. This adds a layer of difficulty as this will need to be done before the counter is attached in most cases. With the added cost and work comes a unique and impressive look. Under-mount sinks offer the functionality of an apron sink, while allowing your cabinet and countertop to remain the visual focal point.